Programs range from diagnostics to hand-washing trackers. "I am getting emails from people saying, 'I'm in atrial fibrillation—what do I do?' 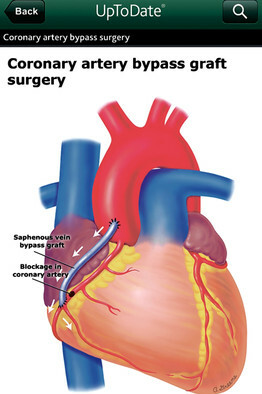 " Dr. Topol says, referring to a type of irregular heartbeat. "Whoa! The first time I saw that in the subject line of an email, I said, the world has really changed." 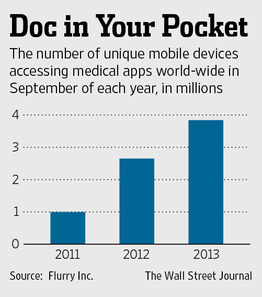 Mobile apps for smartphones and tablets are changing the way doctors and patients approach health care. Many are designed for the doctors themselves, ranging from handy databases about drugs and diseases to sophisticated monitors that read a person's blood pressure, glucose levels or asthma symptoms. Others are for the patients—at their doctor's recommendation—to gather diagnostic data, for example, or simply to help coordinate care, giving patients an easy way to keep track of their conditions and treatments. EPOCRATES One of the oldest and most established medical apps, Epocrates gives doctors basic information about drugs, the right dosing for adults and children, and warnings about harmful interactions. It has replaced many a copy of the Physician's Desk Reference. Made by Epocrates Inc., a unit ofAthenahealth Inc., ATHN -0.01%Watertown, Mass. UPTODATE This app provides reference material doctors can consult when making treatment decisions. David Bates, an internist at Brigham and Women's Hospital in Boston, says he has used it recently to look up treatment approaches for patients who have failed to respond to existing hypertension therapies, and for information on the drug combinations needed to treat a bacterial infection called H. pylori. Made by Wolters Kluwer WTKWY -0.14%NV, the Netherlands. ISABEL Every doctor needs help reaching diagnoses. 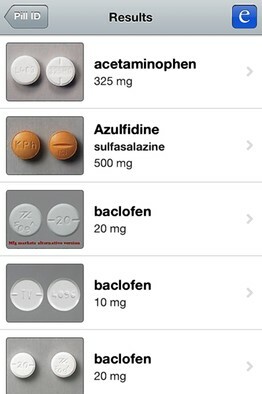 Here, doctors enter symptoms, and the app lists possible diagnoses as well as medications that could cause the symptoms. The app was developed by the parents of Isabel Maude, a British girl who nearly died at the age of 3 in 1999 after being misdiagnosed. Robert Wachter, professor and associate chairman of the department of medicine at the University of California, San Francisco, says he's intrigued by Isabel and similar diagnostic tools. But Dr. Wachter also believes the apps aren't finely tuned enough to recognize that some symptoms are more important than others in reaching a diagnosis. "It's part of what I trained 20 years to do—to tell which [symptoms] are irrelevant and which ones are important," he says. "That's really hard to say to a computer." Jason Maude, chief executive officer of Isabel Healthcare Ltd., says the tool "is not to replace the doctor but to be an adjunct. The tool comes up with list of possibilities, and it's then the doctor's job to work out the probabilities." 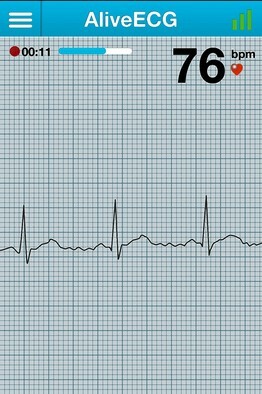 ALIVECOR This portable heart monitor and app—one of the programs that opened Dr. Topol's eyes—runs on a patient's smartphone to produce electrocardiograms. Patients place their fingers over the monitor's sensors, which wirelessly communicate with the phone to produce the EKG. Dr. Topol, director of the Scripps Translational Science Institute in La Jolla, Calif., says he recommends this or similar apps to patients who have irregular heart rhythms. Very often, he says, the main benefit is in reassuring patients that everything is fine. IHEALTH WIRELESS PULSE OXIMETERPeople with trouble sleeping can use this app to record their blood-oxygen level during the night—data that can help a doctor diagnose whether they have sleep apnea. 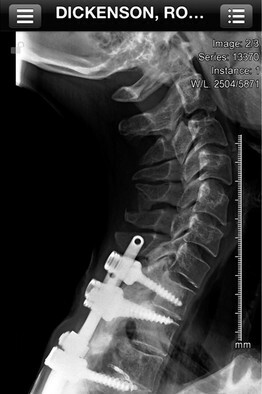 RESOLUTIONMD Doctors can look at X-rays and other images on a smartphone or tablet when they use this app. Some doctors say the app is handy for viewing images as soon as they're available, no matter where the doctor happens to be. "I don't think I'd make any diagnostic decisions based on an iPhone image. I'd be really worried if my doctor were doing that," he says. CELLSCOPE OTO: A smartphone becomes an otoscope, the instrument doctors use to look into the ear, thanks to this app and optical device. Doctors say it's useful for recording videos of a child's ear and then showing the images to family members to explain their diagnosis. Jessica Kaplan, a pediatrician in San Francisco, says that can help cut down on unnecessary use of antibiotics. 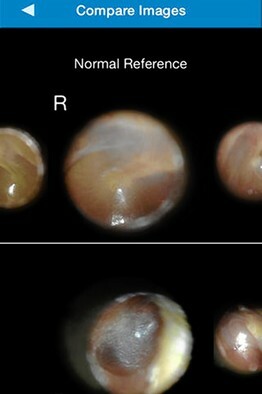 When parents see an image of a child's ear at an initial visit and again at a follow-up appointment, they realize "Oh, wow, we didn't need antibiotics," says Dr. Kaplan, who says she has used the CellScope Oto in her practice for about six months. ISCRUB This infection-control app collects and rapidly displays data on whether hospital staff are being scrupulous about washing their hands. Most hospitals have unofficial observers of whether doctors, nurses and other staff are following hand-hygiene guidelines. Many are not. "If you see the data one month later, it doesn't change behavior," says Philip Polgreen, an infectious-disease physician at the University of Iowa medical school who helped develop the app. But if people see the information by the end of their shift, they tend to take it more seriously, he says. BREAST CANCER DIAGNOSIS GUIDE Using this app, breast-cancer patients enter and track details of their disease and treatment, from the size of the tumor to the presence or absence of estrogen receptors. CLINICAM Increasingly, doctors are using their phones to take photos of a patient's condition—such as a rash or wound—and to upload the images to the patient's electronic medical record. One problem: That could violate health-care privacy laws if the doctor leaves the photo on his or her personal phone. "Pictures are often exceptionally helpful," says David Bates, an internist at the hospital who has tried the app. "It is much easier to describe things like skin lesions, rashes and wounds with pictures than with words," he says. The app holds particular promise for plastic surgeons, who use photos routinely, he adds. Ms. Whalen is a Wall Street Journal staff reporter in London. She can be reached atjeanne.whalen@wsj.com. Isabel Maude, whose case would inspire the Isabel medical app to aid doctors in making diagnoses, nearly died at the age of 3 in 1999 after being misdiagnosed, but she survived. An earlier version of this article incorrectly said she died.